Strawberry season will be upon us soon, for which I am always excited. When the kids were little we would take them to a local pick your own strawberry farm where the kid would pick and eat strawberries till their cheeks and chins were dripping and sticky and their baskets were overflowing! 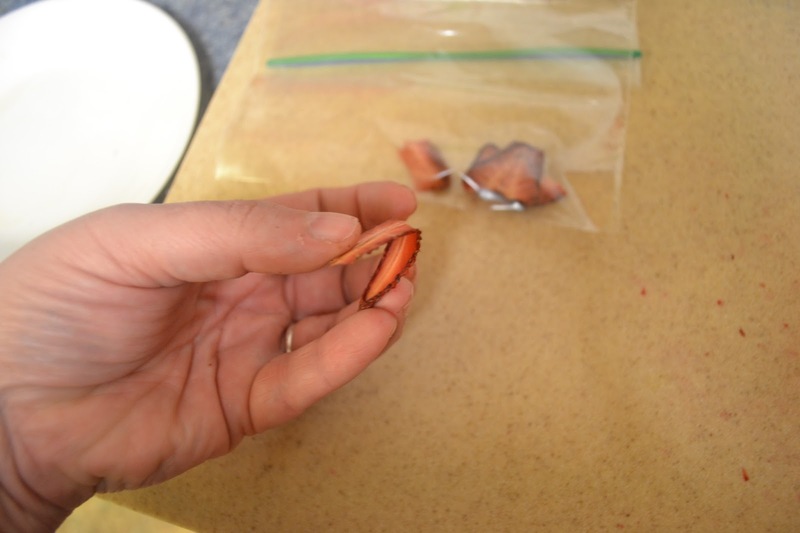 Thank you for the tips on when to tell if the strawberries are fully dehydrated. I always wondered when you knew for sure. I always wonder too when I dehydrate, you are not the only one! 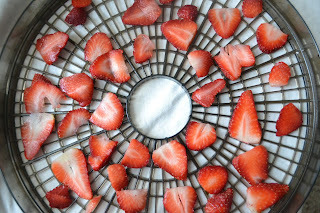 I love dehydrating! I think last year it was an addiction of mine. 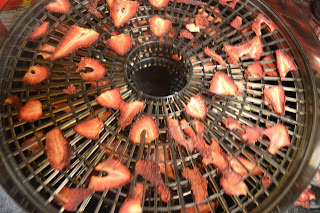 Our favorite thing so far has been the zucchini gummi worms we made in the dehydrator! Thanks for telling us about you new blog, just started following! ok, you must tell me abut the zucchini gummi worms! I need to know! Thank you for the cool tip. I usually freeze mine, but I like this idea. Thanks Sue, appreciate all your support! 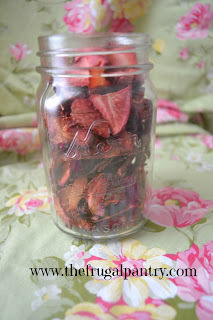 Great idea......Thank you for sharing with the Clever Chicks Blog Hop this week; I hope you’ll join us again! Savannah, glad you found me! Thanks for pinning it! We are trying this today...and if course came here first to get directions! Oh what would I do without you. You know I love you! 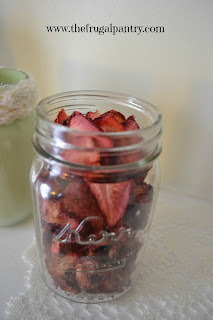 AND I just used some of my dehydrated strawberries this morning in my oatmeal! Hope it all turns out ok! 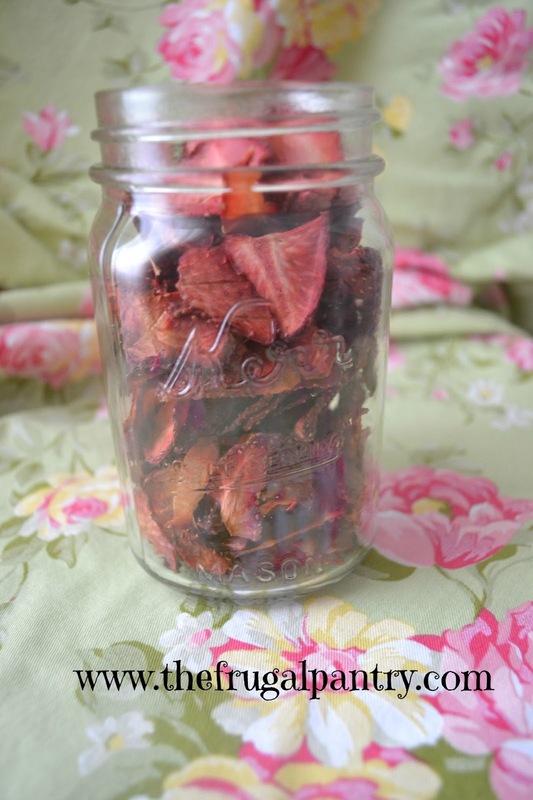 I read your post about dehydrating citrus peels in the oven. Can I use the oven to dehydrate the strawberries? If so, what temp and how long? Thanks! !